The Protestant Reformation, often referred to simply as the Reformation, was the schism within Western Christianity initiated by Martin Luther, John Calvin, and other early Protestant Reformers. Although there had been significant attempts to reform the Roman Catholic Church before Luther, he is typically cited as the man who set the religious world aflame in 1517 with his The Ninety-Five Theses. Luther started by criticizing the selling of indulgences, insisting that the pope had no authority over purgatory and that the Catholic doctrine of the merits of the saints had no foundation in the gospel. The attacks widened to cover many of the doctrines and devotional Catholic practices. The Reformation movement within Germany diversified almost immediately, and other reform impulses arose independently of Luther. The largest groupings were the Lutherans and Calvinists (or Reformed); Lutheran churches were founded mostly in Germany, the Baltics and Scandinavia, while Reformed churches were founded in France, Switzerland, Hungary, the Netherlands and Scotland. The new movement influenced the Church of England decisively after 1547 under Edward VI and Elizabeth I, although the national church had been made independent under King Henry VIII in the early 1530s for political rather than religious reasons. There were also reformation movements throughout continental Europe known as the Radical Reformation which gave rise to the Anabaptist, Moravian, and other pietistic movements. The Roman Catholic Church responded with a Jesuits. In general, Northern Europe, with the exception of most of Ireland, came under the influence of Protestantism. Southern Europe remained Roman Catholic, while Central Europe was a site of a fierce conflict, culminating in the Thirty Years' War, which left it massively devastated. The oldest Protestant Churches, such as the Unitas Fratrum (Unity of the Brethren), Moravian Church (Bohemian Brethren) date their origins to Jan Hus in the early 15th century. As it was led by a Bohemian noble majority, and recognised, for a time, by the Basel Compacts, the Hussite Reformation was Europe's first "Magisterial Reformation" because the ruling magistrates supported them; unlike the "Radical Reformation", which the State did not support. The later Protestant Churches generally date their doctrinal separation from the Roman Catholic Church to the 16th century. The Reformation began as an attempt to reform the Roman Catholic Church, by priests who opposed what they perceived as false doctrines and ecclesiastic malpractice—especially the teaching and the sale of indulgences or the abuses thereof, and simony, the selling and buying of clerical offices—that the Reformers saw as evidence of the systemic corruption of the Church's hierarchy, which included the pope. Unrest due to the Great Schism of Western Christianity (1378–1416) excited wars between princes, uprisings among the peasants, and widespread concern over corruption in the church. New perspectives came from John Wycliff at Oxford University and from Jan Hus at the Charles University in Prague. Hus objected to some of the practices of the Roman Catholic Church and wanted to return the church in Bohemia and Moravia to early Byzantine-inspired practices: liturgy in the language of the people (i.e. Czech), having lay people receive communion in both kinds (bread and wine - that is, in Latin, communio sub utraque specie), married priests, and eliminating indulgences and the idea of Purgatory. Hus rejected indulgences and adopted a doctrine of justification by grace through faith alone. The Roman Catholic Church officially concluded this debate at the Council of Constance (1414–1417). The conclave condemned Hus, who was executed by burning despite a promise of safe-conduct. Wycliffe was posthumously condemned as a heretic and his corpse exhumed and burned in 1428. The Council of Constance confirmed and strengthened the traditional medieval conception of church and empire. It did not address the national tensions, or the theological tensions stirred up during the previous century. The council could not prevent schism and the Hussite Wars in Bohemia. 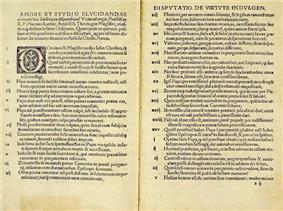 In response to papal corruption, particularly the sale of indulgences, Luther wrote The Ninety-Five Theses. The protests against the corruption emanating from Rome began in Germany when reformation ideals developed in 1517-1521 with Martin Luther expressing doubts over the legitimacy of indulgences and the plenitudo potestatis of the pope. The Reformation was born of Luther's dual declaration – first, the discovering of Jesus and salvation by faith alone; and second, identifying the Papacy as the Antichrist. The highly educated Reformation leaders used prophecies of the Bible as their most powerful weapon in appealing to committed believers to break from the church, which they perceive as the new Babylon, and to convince them that the Pope is the Antichrist who had assumed the place of God. The Protestant Reformers were unanimous in agreement and this understanding of prophecy furnished importance to their deeds. It was the rallying point and the battle cry that made the Reformation nearly unassailable. The Reformation is often dated to 31 October 1517, All Hallows' Eve, in Wittenberg, Saxony, where Luther nailed his Ninety-Five Theses on the Power and Efficacy of Indulgences to the door of the Castle Church. The theses debated and criticised the Church and the papacy, but concentrated upon the selling of indulgences and doctrinal policies about purgatory, particular judgment, and the authority of the pope. He would later in the period 1517-1521 write works on the Catholic devotion to Mariolatry, the intercession of and devotion to the saints, the sacraments, mandatory clerical celibacy, monasticism, further on the authority of the pope, the ecclesiastical law, censure and excommunication, the prerogatives of secular rulers in religious matters, the relationship between Christianity and the Law, Good Works, and the sacraments. Reformers made heavy use of inexpensive pamphlets as well as vernacular bibles using the relatively new printing press, so there was swift movement of both ideas and documents. 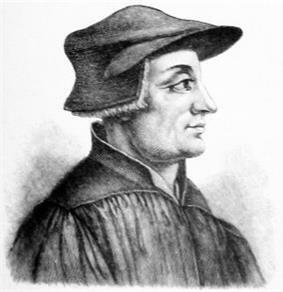 Parallel to events in Germany, a movement began in Switzerland under the leadership of Ulrich Zwingli. These two movements quickly agreed on most issues, but some unresolved differences kept them separate. Some followers of Zwingli believed that the Reformation was too conservative, and moved independently toward more radical positions, some of which survive among modern day Anabaptists. Other Protestant movements grew up along lines of mysticism or humanism, sometimes breaking from Rome or from the Protestants, or forming outside of the churches. The Reformation foundations engaged with Augustinianism; both Luther and Calvin thought along lines linked with the theological teachings of Augustine of Hippo. The Augustinianism of the Reformers struggled against Pelagianism, a heresy that they perceived in the Roman Catholic Church of their day. In the course of this religious upheaval, the German Peasants' War of 1524–1525 swept through the Bavarian, Thuringian and Swabian principalities, including the Black Company of Florian Geier, a knight from Giebelstadt who joined the peasants in the general outrage against the Roman Catholic hierarchy. Luther, however, condemned the revolt, thus contributing to its eventual defeat. Some 100,000 peasants were killed. Even though Luther and Calvin had very similar theological teachings, the relationship between their followers turned quickly to conflict. Frenchman Michel de Montaigne told a story of a Lutheran pastor who declared over dinner that he would rather hear a hundred Masses than take part in one of Calvin's sacraments. The Reformation was a triumph of literacy and the new printing press. Luther's translation of the Bible into German was a decisive moment in the spread of literacy, and stimulated as well the printing and distribution of religious books and pamphlets. From 1517 onward, religious pamphlets flooded Germany and much of Europe. By 1530, over 10,000 publications are known, with a total of ten million copies. The Reformation was thus a media revolution. Luther strengthened his attacks on Rome by depicting a "good" against "bad" church. From there, it became clear that print could be used for propaganda in the Reformation for particular agendas. Reform writers used pre-Reformation styles, clichés, and stereotypes and changed items as needed for their own purposes. Especially effective were writings in German, including Luther's translation of the Bible, his Smaller Catechism for parents teaching their children, and his Larger Catechism, for pastors. Using the German vernacular they expressed the Apostles' Creed in simpler, more personal, Trinitarian language. Illustrations in the German Bible and in many tracts popularised Luther's ideas. Lucas Cranach the Elder (1472–1553), the great painter patronised by the electors of Wittenberg, was a close friend of Luther, and illustrated Luther's theology for a popular audience. He dramatised Luther's views on the relationship between the Old and New Testaments, while remaining mindful of Luther's careful distinctions about proper and improper uses of visual imagery. Parallel to events in Germany, a movement began in the Swiss Confederation under the leadership of Huldrych Zwingli. Zwingli was a scholar and preacher who moved to Zurich – the then-leading city state – in 1518, a year after Martin Luther began the Reformation in Germany with his 95 Theses. Although the two movements agreed on many issues of theology, as the recently introduced printing press spread ideas rapidly from place to place, some unresolved differences kept them separate. A long-standing resentment between the German states and the Swiss Confederation led to heated debate over how much Zwingli owed his ideas to Lutheranism. Although Zwinglianism does hold uncanny resemblance to Lutheranism (it even had its own equivalent of the 95 Theses, called the 67 Conclusions), historians have been unable to prove that Zwingli had any contact with Luther's publications before 1520, and Zwingli himself maintained that he had prevented himself from reading them. The German Prince Philip of Hesse saw potential in creating an alliance between Zwingli and Luther, seeing strength in a united Protestant front. A meeting was held in his castle in 1529, now known as the Colloquy of Marburg, which has become infamous for its complete failure. The two men could not come to any agreement due to their disputation over one key doctrine. Although Luther preached consubstantiation in the Eucharist over transubstantiation, he believed in the spiritual presence of Christ at the mass. Zwingli believed that the mass was only representative and memorial – Christ was not present. Luther became so angry that he famously carved into the meeting table 'Hoc Est Corpus Meum' – a Biblical quotation from the Last Supper meaning 'this is my body'. Some followers of Zwingli believed that the Reformation was too conservative, and moved independently toward more radical positions, some of which survive among modern day Anabaptists. One famous incident illustrating this was when radical Zwinglians fried and ate sausages during Lent in Zurich city square by way of protest against the Church teaching of good works. Other Protestant movements grew up along lines of mysticism or humanism (cf. Erasmus), sometimes breaking from Rome or from the Protestants, or forming outside of the churches. Following the consistory to bring morality to all areas of life. After the establishment of the Geneva academy in 1559, Geneva became the unofficial capital of the Protestant movement, providing refuge for Protestant exiles from all over Europe and educating them as Calvinist missionaries. These missionaries dispersed Calvinism widely, and formed the French Huguenots in Calvin's own lifetime, as well as causing the conversion of Scotland under the leadership of the cantankerous John Knox in 1560. The faith continued to spread after Calvin's death in 1563 and reached as far as Constantinople by the start of the 17th century. The Reformation foundations engaged with Augustinianism. Both Luther and Calvin thought along lines linked with the theological teachings of Augustine of Hippo. The Augustinianism of the Reformers struggled against Pelagianism, a heresy that they perceived in the Roman Catholic Church of their day. Unfortunately, since Calvin and Luther disagreed strongly on certain matters of theology (such as double-predestination and Holy Communion), the relationship between Lutherans and Calvinists was one of conflict. In Sweden, the Reformation was spearheaded by Gustav Vasa, elected king in 1523. Friction with the pope over the latter's interference in Swedish ecclesiastical affairs led to the discontinuance of any official connection between Sweden and the papacy from 1523. Four years later, at the Diet of Västerås, the king succeeded in forcing the diet to accept his dominion over the national church. The king was given possession of all church property, church appointments required royal approval, the clergy were subject to the civil law, and the "pure Word of God" was to be preached in the churches and taught in the schools—effectively granting official sanction to Lutheran ideas. Under the reign of Frederick I (1523–33), Denmark remained officially Roman Catholic. But though Frederick initially pledged to persecute Lutherans, he soon adopted a policy of protecting Lutheran preachers and reformers, of whom the most famous was Hans Tausen. During his reign, Lutheranism made significant inroads among the Danish population. Frederick's son, Christian, was openly Lutheran, which prevented his election to the throne upon his father's death. In 1536, the authority of the Roman Catholic bishops was terminated by national assembly. The next year, following his victory in the Count's War, he became king as Christian III and continued the Reformation of the state church with assistance of Johannes Bugenhagen. The separation of the Church of England (or Anglican Church) from Rome under Henry VIII, beginning in 1529 and completed in 1537, brought England alongside this broad Reformation movement; however, religious changes in the English national church proceeded more conservatively than elsewhere in Europe. 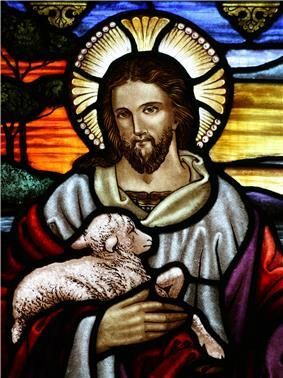 Reformers in the Church of England alternated, for centuries, between sympathies for ancient Catholic tradition and more Reformed principles, gradually developing into a tradition considered a middle way (via media) between the Roman Catholic and Protestant traditions. The English Reformation followed a different course from the Reformation in continental Europe. There had long been a strong strain of anti-clericalism and England had already given rise to the Lollard movement of John Wycliffe, which played an important part in inspiring the Hussites in Bohemia. Lollardy was suppressed and became an underground movement, so the extent of its influence in the 1520s is difficult to assess. The different character of the English Reformation came rather from the fact that it was driven initially by the political necessities of Henry VIII. Henry had once been a sincere Roman Catholic and had even authored a book strongly criticising Luther, but he later found it expedient and profitable to break with the Papacy. His wife, Catherine of Aragon, bore him only a single child that survived infancy, Mary. As England had recently gone through a lengthy dynastic conflict (see Wars of the Roses), Henry feared that his lack of a male heir might jeopardise his descendants' claim to the throne. However, Pope Clement VII, concentrating more on Charles V's sack of Rome, denied his request for an annulment. Had Clement granted the annulment and therefore admitted that his predecessor, Julius II, had erred, Clement would have given support to the Lutheran assertion that Popes replaced their own judgment for the will of God. King Henry decided to remove the Church of England from the authority of Rome. In 1534, the Act of Supremacy recognized Henry as "the only Supreme Head on earth of the Church of England". Between 1535 and 1540, under Thomas Cromwell, the policy known as the Dissolution of the Monasteries was put into effect. The veneration of some saints, certain pilgrimages and some pilgrim shrines were also attacked. Huge amounts of church land and property passed into the hands of the Crown and ultimately into those of the nobility and gentry. The vested interest thus created made for a powerful force in support of the dissolutions. There were some notable opponents to the Henrician Reformation, such as Thomas More and Bishop John Fisher, who were executed for their opposition. There was also a growing party of reformers who were imbued with the Zwinglian and Calvinistic doctrines now current on the Continent. When Henry died he was succeeded by his Protestant son Edward VI, who, through his empowered councillors (with the King being only nine years old at his succession and not yet sixteen at his death) the Duke of Somerset and the Duke of Northumberland, ordered the destruction of images in churches, and the closing of the chantries. Under Edward VI the reform of the Church of England was established unequivocally in doctrinal terms. Yet, at a popular level, religion in England was still in a state of flux. 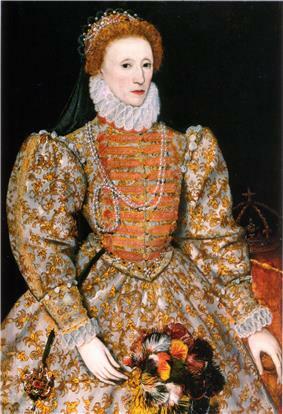 Following a brief Roman Catholic restoration during the reign of Mary 1553–1558, a loose consensus developed during the reign of Elizabeth I, though this point is one of considerable debate among historians. Yet it is this "Elizabethan Religious Settlement" which largely formed Anglicanism into a distinctive church tradition. The compromise was uneasy and was capable of veering between extreme Calvinism on the one hand and Roman Catholicism on the other, but compared to the bloody and chaotic state of affairs in contemporary France, it was relatively successful until the Puritan Revolution or English Civil War in the 17th century. The success of the Counter-Reformation on the Continent and the growth of a Puritan party dedicated to further Protestant reform polarised the Elizabethan Age, although it was not until the '40s that England underwent religious strife comparable to what its neighbours had suffered some generations before. The early Puritan movement (late 16th–17th centuries) was popish pomp and rags". (See Vestments controversy.) They also objected to ecclesiastical courts. They refused to endorse completely all of the ritual directions and formulas of the Book of Common Prayer; the imposition of its liturgical order by legal force and inspection sharpened Puritanism into a definite opposition movement. The most famous and well-known emigration to America was the migration of the Puritan separatists from the Anglican Church of England, who fled first to Holland, and then later to America, to establish the English colony of Massachusetts in New England, which later became one of the original United States. These Puritan separatists were also known as "the Pilgrims". After establishing a colony at Plymouth (which became part of the colony of Massachusetts) in 1620, the Puritan pilgrims received a charter from the King of England that legitimised their colony, allowing them to do trade and commerce with merchants in England, in accordance with the principles of mercantilism. This successful, though initially quite difficult, colony marked the beginning of the Protestant presence in America (the earlier French, Spanish and Portuguese settlements had been Roman Catholic), and became a kind of oasis of spiritual and economic freedom, to which persecuted Protestants and other minorities from the British Isles and Europe (and later, from all over the world) fled to for peace, freedom and opportunity. The Pilgrims of New England disapproved of Christmas and celebration was outlawed in Boston from 1659 to 1681. The ban was revoked in 1681 by Sir Edmund Andros, who also revoked a Puritan ban against festivities on Saturday night. Despite the removal of the ban, it wouldn't be until the middle of the 19th century that Christmas would become a popular holiday in the Boston region. The original intent of the colonists was to establish spiritual Puritanism, which had been denied to them in England and the rest of Europe, to engage in peaceful commerce with England and the native American Indians, and to Christianize the peoples of the Americas. The Reformation in Scotland's case culminated ecclesiastically in the establishment of a church along reformed lines, and politically in the triumph of English influence over that of France. John Knox is regarded as the leader of the Scottish reformation. The Reformation Parliament of 1560 repudiated the pope's authority by the Papal Jurisdiction Act 1560, forbade the celebration of the Mass and approved a Protestant Confession of Faith. It was made possible by a revolution against French hegemony under the regime of the regent Mary of Guise, who had governed Scotland in the name of her absent daughter Mary, Queen of Scots (then also Queen of France). A spiritual revival also broke out among Roman Catholics soon after Martin Luther's actions, and led to the Scottish Covenanters' movement, the precursor to Scottish Presbyterianism. This movement spread, and greatly influenced the formation of Puritanism among the Anglican Church in England. The Scottish covenanters were persecuted by the Roman Catholic Church. This persecution by the Catholics drove some of the Protestant covenanter leadership out of Scotland, and into France and later, Switzerland. 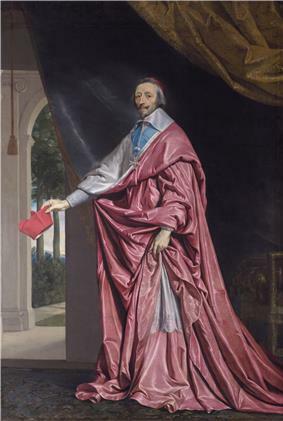 Although a Roman Catholic clergyman himself, Cardinal Richelieu allied France with Protestant states. Protestantism also spread from the German lands into France, where the Protestants were nicknamed Huguenots; this eventually led to decades of civil warfare. Though not personally interested in religious reform, Francis I (reigned 1515–1547) initially maintained an attitude of tolerance, in accordance with his interest in the humanist movement. This changed in 1534 with the Affair of the Placards. In this act, Protestants denounced the Catholic Mass in placards that appeared across France, even reaching the royal apartments. The issue of religious faith having been thrown into the arena of politics, Francis came to view the movement as a threat to the kingdom's stability. This led to the first major phase of anti-Protestant persecution in France, in which the Chambre Ardente ("Burning Chamber") was established (1535) within the Parlement of Paris to deal with the rise in prosecutions for heresy. 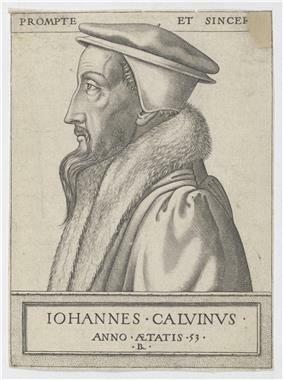 Several thousand French Protestants fled the country, most notably John Calvin, who emigrated to Basel in 1535 before eventually settling in Geneva in 1536. Calvin continued to take an interest in the religious affairs of his native land and, from his base in Geneva, beyond the reach of the French kings, regularly trained pastors to lead congregations in France. Despite heavy persecution by King Henry II of France (reigned 1547-1559), the Reformed Church of France, largely Calvinist in direction, made steady progress across large sections of the nation, in the urban bourgeoisie and parts of the aristocracy, appealing to people alienated by the obduracy and the complacency of the Catholic establishment. French Protestantism, though its appeal increased under persecution, came to acquire a distinctly political character, made all the more obvious by the conversions of nobles during the 1550s. This established the preconditions for a series of destructive and intermittent conflicts, known as the Wars of Religion. The civil wars gained impetus with the sudden death of Henry II in 1559, which began a prolonged period of weakness for the French crown. 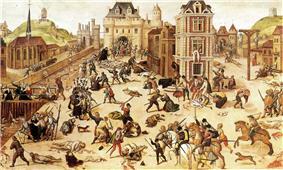 Atrocity and outrage became the defining characteristics of the time, illustrated at their most intense in the St. Bartholomew's Day massacre of August 1572, when the Roman Catholic party annihilated between 30,000 and 100,000 Huguenots across France. The wars only concluded when Henry IV, himself a former Huguenot, issued the Edict of Nantes (1598), promising official toleration of the Protestant minority, but under highly restricted conditions. Roman Catholicism remained the official state religion, and the fortunes of French Protestants gradually declined over the next century, culminating in Louis XIV's Edict of Fontainebleau (1685) — which revoked the Edict of Nantes and made Roman Catholicism the sole legal religion of France. In response to the Edict of Fontainebleau, Frederick William I, Elector of Brandenburg declared the Edict of Potsdam (October 1685), giving free passage to Huguenot refugees, and tax-free status to them for ten years. In the late 17th century many Huguenots fled to England, the Netherlands, Prussia, Switzerland, and the English and Dutch overseas colonies. A significant community in France remained in the Cévennes region. A separate Protestant community, of the Lutheran faith, existed in the newly conquered(1639- ) province of Alsace, its status not affected by the Edict of Fontainebleau. Spain had a different political and cultural from its Western and Central European neighbors in several aspects during the early 16th century and these unique aspects affected the mentality and the reaction of the nation towards the Protestant Reformation. Spain, which had only recently managed to reconquer the Peninsula from the Moors in 1492, had been preoccupied with converting the Muslim and Jewish population of the newly conquered regions through the establishment of the Spanish Inquisition in 1478. The rulers of the nation stressed political, cultural, and religious unity, and by the time of the Lutheran Reformation the Spanish Inquisition was already 40 years old and had the capability of quickly dealing with any new movement that the Catholic Church perceived or interpreted to be religious heterodoxy. Charles V did not wish to see either Spain nor the rest of Habsburg Europe divided, and in the light of a continual threat from the Ottomans, preferred to see the Catholic Church reform itself from within. This led to a Counter-Reformation in Spain in the 1530s. During the 1520s, the Spanish Inquisition had created an atmosphere of suspicion, and sought to root out any religious thought seen as suspicious. As early as 1521, the Pope had written a letter to the Spanish monarchy warning against allowing the unrest in Northern Europe to be repeated in Spain. Between 1520 and 1550, printing presses in Spain were tightly controlled, and any books of Protestant teaching were prohibited. Between 1530 and 1540 Protestantism in Spain was still able to gain followers clandestinely, and in cities such as Seville and Valladolid adherents would secretly meet at private houses to pray and study the Bible. Protestants in Spain were estimated at between 100 and 300, mainly among intellectuals who had seen writings such as those of Erasmus. 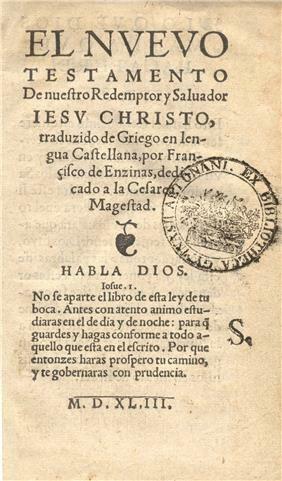 Notable reformers included Dr. Juan Gil and Juan Pérez de Pineda who subsequently fled and worked alongside others such as Francisco de Enzinas to translate the Greek New Testament into the Spanish language, a task completed by 1556. Protestant teachings were smuggled into Spain by Spaniards such as Julián Hernández, who in 1557 was condemned by the Inquisition and burnt at the stake. Under Philip II conservatives in the Spanish church tightened their grip, and those who refused to recant such as Rodrigo de Valer were condemned to life imprisonment. 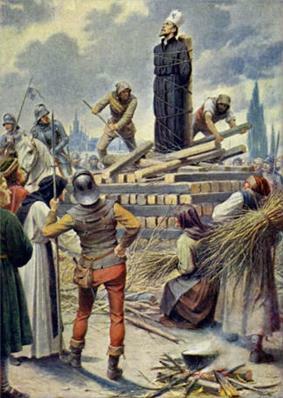 In May 1559 sixteen Spanish Lutherans were burnt at the stake, 14 strangled prior to burning and the other 2 burnt alive. In October another thirty were executed. Spanish Protestants that were able to flee the country were to be found in at least a dozen cities in Europe such as Geneva, where some of them embraced Calvinist teachings. Those that fled to England were given support by the Church of England. Harsh persecution of Protestants by the Spanish government of Philip II contributed to a desire for independence in the provinces, which led to the Eighty Years' War and eventually, the separation of the largely Protestant Dutch Republic from the Roman Catholic-dominated Southern Netherlands (present-day Belgium). Much of the population of the Kingdom of Hungary adopted Protestantism during the 16th century. After the 1526 Battle of Mohács, the Hungarian people were disillusioned by the ability of the government to protect them and turned to the faith they felt would infuse them with the strength necessary to resist the invader. 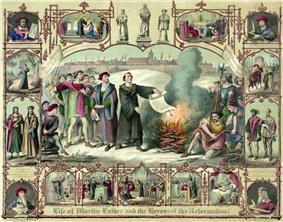 They found this in the teaching of the Protestant reformers such as Martin Luther. 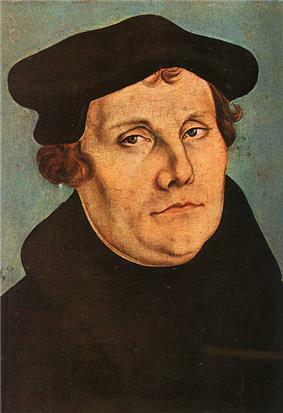 The spread of Protestantism in the country was aided by its large ethnic German minority, which could understand and translate the writings of Martin Luther. While Lutheranism gained a foothold among the German- and Slovak-speaking populations, Calvinism became widely accepted among ethnic Hungarians. In the more independent northwest the rulers and priests, protected now by the Habsburg Monarchy, which had taken the field to fight the Turks, defended the old Roman Catholic faith. They dragged the Protestants to prison and the stake wherever they could. Such strong measures only fanned the flames of protest, however. Leaders of the Protestants included Matthias Biro Devai, Michael Sztarai, and Stephen Kis Szegedi. Protestants likely formed a majority of Hungary's population at the close of the 16th century, but Counter-Reformation efforts in the 17th century reconverted a majority of the kingdom to Roman Catholicism. A significant Protestant minority remained, most of it adhering to the Calvinist faith. In 1558 the Transylvanian Diet of Turda declared free practice of both the Catholic and Lutheran religions, but prohibited Calvinism. Ten years later, in 1568, the Diet extended this freedom, declaring that "It is not allowed to anybody to intimidate anybody with captivity or expelling for his religion". Four religions (Unitarianism became official in 1583, following the faith of the only Unitarian King John II Sigismund Zápolya 1541-1571) were declared as accepted (recepta) religions, while Orthodox Christianity was "tolerated" (though the building of stone Orthodox churches was forbidden). During the Thirty Years' War, Royal (Habsburg) Hungary joined the Roman Catholic side, until Transylvania joined the Protestant side. There were a series of other successful and unsuccessful anti-Habsburg (requiring equal rights and freedom for all Christian religions) uprisings between 1604 and 1711; the uprisings were usually organised from Transylvania. The constrained Habsburg Counter-Reformation efforts in the 17th century reconverted the majority of the kingdom to Roman Catholicism. The Reformation in Ireland was a movement for the reform of religious life and institutions that was introduced into Ireland by the English administration at the behest of King Henry VIII of England. His desire for an annulment of his marriage was known as the King's Great Matter. Ultimately Pope Clement VII refused the petition; consequently it became necessary for the King to assert his lordship over the Roman Catholic Church in his realm to give legal effect to his wishes. The English Parliament confirmed the King's supremacy over the Church in the Kingdom of England. This challenge to Papal supremacy resulted in a breach with the Roman Catholic Church. By 1541, the Irish Parliament had agreed to the change in status of the country from that of a Lordship to that of Kingdom of Ireland. Unlike similar movements for religious reform on the continent of Europe, the various phases of the English Reformation as it developed in Ireland were largely driven by changes in government policy, to which public opinion in England gradually accommodated itself. However, a number of factors complicated the adoption of the religious innovations in Ireland; the majority of the population there adhered to the Roman Catholic Church. However in the city of George Browne (Archbishop of Dublin). Word of the Protestant reformers reached Italy in the 1520s, but never caught on. Its development was stopped by the Counter-Reformation, the Inquisition and also popular disinterest. Not only was the Church highly aggressive in seeking out heresy and suppressing it, but there was a shortage of Protestant leadership. No one translated the Bible into Italian; few tracts were written. No core of Protestantism emerged. The few preachers who did take an interest in "Lutheranism," as it was called in Italy, were suppressed or went into exile to northern countries where their message was well received. As a result the Reformation exerted almost no lasting influence in Italy, except for strengthening the Roman Catholic Church and motivating the Counter-Reformation. Some Protestants left Italy and became outstanding activists of the European Reformation, mainly in the Bernardino Ochino, Giovanni Alciato, Giovanni Battista Cetis, Fausto Sozzini, Francesco Stancaro and Giovanni Valentino Gentile) who propagated Nontrinitarianism there and were chief instigators of the movement of Polish Brethren. In 1532 the Waldensians adhered to the Reformation, adopting the Calvinist theology. The Church survived in the Western Alps through many persecutions and remains a Protestant church in Italy. In the first half of the 16th century, the enormous Polish-Lithuanian Commonwealth was a country of many creeds, but Roman Catholic Church remained the dominating religion. Reformation reached Poland in the 1520s, and quickly gained popularity among mostly German-speaking inhabitants of such major cities as Gdańsk, Toruń and Elbląg. In Koenigsberg, in 1530, Polish-language edition of Luther's Small Catechism was published. The Duchy of Prussia, which was a Polish fief, emerged as key center of the movement, with numerous publishing houses issuing not only Bibles, but also catechisms, in German, Polish and Lithuanian. Lutheranism gained popularity in northern part of the country, while Calvinism caught the interest of the nobility (known as szlachta), mainly in Lesser Poland and the Grand Duchy of Lithuania. Several publishing houses were opened in Lesser Poland in mid-16th century in such locations as Słomniki and Raków. At that time, Mennonites and Czech Brothers came to Poland, with the latter settling mostly in Greater Poland around Leszno. In 1565, Polish Brethren appeared as yet another reformation movement. The 16th century Commonwealth was unique in Europe, because of widespread tolerance confirmed by the Warsaw Confederation. 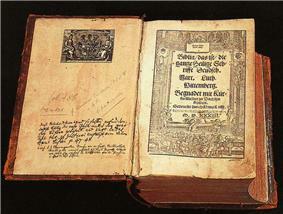 In 1563, the Brest Bible was published (see also Bible translations into Polish). The period of tolerance ended during the reign of King Sigismund III Vasa, who was under the strong influence of Piotr Skarga and other Jesuits. After the Deluge, and other wars of the mid-17th century in which all enemies of Poland were either Protestant or Orthodox Christians, the Poles' attitude changed. The Counter-Reformation prevailed: in 1658 the Polish Brethren were forced to leave the country, and in 1666, the Sejm banned apostasy from Catholicism to any other religion, under punishment of death. Finally, in 1717, the Silent Sejm banned non-Catholics from becoming deputies of the Parliament. Among most important Protestants of the Commonwealth, there are such names, as Mikołaj Rej, Marcin Czechowic, Andrzej Frycz Modrzewski and Symon Budny. A monument of Primož Trubar by Franc Berneker. White marble, 1910. The statue stands at the entrance to Tivoli Park, opposite the Museum of Modern Art, in Ljubljana. Primož Trubar is notable for consolidating the Slovene language and is considered to be the key figure of Slovenian cultural history and in many aspects a major Slovene historical personality. He was the key figure of the Protestant Church of the Slovene Lands, as he was its founder and its first superintendent. In 1547 he was expelled from Ljubljana. While a Protestant preacher in Rothenburg, Germany, he wrote first two books in Slovene, Catechismus and Abecedarium, which were published in 1550 in Tübingen, Germany. Since 2010, 8 June is commemorated in Slovenia as the Primož Trubar Day. Jurij Dalmatin, another important Slovene Lutheran minister, writer and translator, is most notable for the complete translation of the Bible into Slovene, his most important achievement. He allegedly wrote it to a large extent at Turjak Castle under the protection of the Carniolan governor, Herbard VIII von Auersperg (Slovene: Hervard Turjaški), and Herbard's son Christoph von Auersperg, who are said to have provided for the translator Dalmatin a "Wartburg"-type sanctuary as had been offered to Martin Luther by Frederick the Wise, the Elector of Saxony. This account has been disputed as apocryphal. The original title of Damatin's 1584 Bible translation was Bibilija, tu je vse svetu pismu stariga inu noviga testamenta, slovenski tolmačena skuzi Jurija Dalmatina (The Bible: That Is, the Entire Holy Scripture of the Old and the New Testament, Translated into Slovene by Jurij Dalmatin). The translation set the norm for the Slovene standard language (with later innovations in vocabulary) until the first half of the 19th century. He was also the author of several religious books, such as the 1584 Karšanske lepe molitve (Beautiful Christian Prayers), the 1585 Ta kratki würtemberški katekizmus (The Short Württemberg Catechism, and Agenda published in 1589. The Reformation led to a series of religious wars that culminated in the Thirty Years' War (1618–1648), which devastated much of Germany, killing between 25 and 40% of its population. From 1618 to 1648 the Roman Catholic House of Habsburg and its allies fought against the Protestant princes of Germany, supported at various times by Denmark, Sweden and France. The Habsburgs, who ruled Spain, Austria, the Crown of Bohemia, Hungary, Slovene Lands, the Spanish Netherlands and much of Germany and Italy, were staunch defenders of the Roman Catholic Church. Some historians believe that the era of the Reformation came to a close when Roman Catholic France allied itself, first in secret and later on the battlefields, with Protestant states against the Habsburg dynasty. For the first time since the days of Luther, political and national convictions again outweighed religious convictions in Europe. The treaty also effectively ended the papacy's pan-European political power. Furious, Pope Innocent X declared the treaty "null, void, invalid, iniquitous, unjust, damnable, reprobate, inane, empty of meaning and effect for all times" in his bull Zelo Domus Dei. European sovereigns, Roman Catholic and Protestant alike, ignored his verdict. However, this treaty did not mean that the Reformation concluded. It would be about another century (ca. 1750) before the Reformation could truly be considered to have ended. Meanwhile, other reform movements continued to spring up, even within the Reformation churches. One such movement was Pietism, which impacted the Low Countries (hence the Reformed churches), Germany (hence also Lutheranism), and Great Britain, which led to a split in Lutheranism and which brought about the creation of some new churches (most notably Methodism). In turn, Pietism would branch out into a "normative" form and Radical Pietism. The Reformation had a wide-ranging influence on personal life. In fashion, for instance, it led to a more sober and dignified, less wasteful esthetic. Further impact on the Reformation came from the Age of Enlightenment, and its preponderance of Rationalism. In The Protestant Ethic and the Spirit of Capitalism, Max Weber first suggested that cultural values could affect economic success, arguing that the Protestant Reformation led to values that drove people toward worldly achievements, a hard work ethic, and saving to accumulate wealth for investment. The new religions (in particular, Calvinism and other more austere Protestant groups) effectively forbade wastefully using hard earned money and identified the purchase of luxuries a sin. Jacob argues that there has been a dramatic shift in the historiography of the Reformation. Until the 1960s, historians focused their attention largely on the great leaders and theologians of the sixteenth century, especially Luther, Calvin, and Zwingli. Their ideas were studied in depth. However, the rise of the new social history in the 1960s look at history from the bottom up, not from the top down. Historians began to concentrate on the values, beliefs and behavior of the people at large. She finds, "in contemporary scholarship, the Reformation is now seen as a vast cultural upheaval, a social and popular movement, textured and rich because of its diversity." ^ Protestant Reformation. Behind the Name. 21 July 2014. ^ Hussites. Encyclopædia Britannica Eleventh Edition. ^ "Fresco fragment revives Papal scandal". BBC News. 21 July 2007. ^ "The Death of Alexander VI, 1503". Eyewitness to History. 2007. Retrieved 27 July 2014. ^ a b c Froom 1948, pp. 243-244. ^ Schofield, John (2011). Martin Luther: A Concise History of His Life and Works. History Press Limited. p. 122. ^ "Peasants’ War (German History)". Encyclopædia Britannica. ^ In the end, while the Reformation emphasis on Protestants reading the Scriptures was one factor in the development of literacy, the impact of printing itself, the wider availability of printed works at a cheaper price, and the increasing focus on education and learning as key factors in obtaining a lucrative post, were also significant contributory factors. Pettegree, Andrew (2000). The Reformation World [electronic resource]. Routledge. p. 543. ^ In the first decade of the Reformation, Luther's message became a movement, and the output of religious pamphlets in Germany was at its height. Andrew Pettegree and Matthew Hall (December 2004). "The Reformation and the Book: A Reconsideration". The Historical Journal 47 (4): 786. ^ Rick Cornish (2010). 5 Minute Church Historian: Maximum Truth in Minimum Time. NavPress. p. 118. ^ "The Scandinavian Reformers". Retrieved 2009-05-30. ^ Bray, Gerald. Documents of the English Reformation. James Clarke. pp. 113f. ^ Danko, C. "Once Upon A Time, When Christmas Was Banned...". A Puritan's mind. Retrieved 1 October 2012. In fact, it wasn't until the mid-1800s that celebrating Christmas became fashionable in the Boston region. ^ Massimo Firp, "The Italian Reformation" in A Companion to the Reformation World (2008) pp 169+. ^ Frederic C. Church, "The literature of the Italian reformation," Journal of Modern History (1931) 3#3 pp: 457-473 in JSTOR. ^ Voglar, Dušan (30 May 2008). "Primož Trubar v enciklopedijah in leksikonih I" [Primož Trubar in Encyclopedias and Lexicons I]. Locutio (in Slovenian) 11 (42) (Maribor Literary Society). Retrieved 7 February 2011. ^ "Trubar Year Dedicated to Father of Slovenian Written Word (feature)". 2 January 2008. Retrieved 7 February 2011. ^ Werke - Primus Truber. Primus-truber.de. Retrieved on 2013-09-07. ^ "Slovenia Gets Primoz Trubar Day". Slovenia Press Agency. 18 June 2010. Retrieved 7 February 2011. ^ Simon 1966, pp. 120-121. ^ a b Simon, Edith (1966). Great Ages of Man: The Reformation. Time-Life Books. pp. 120–121. ^ Rublack, Ulinka (2010). Dressing Up. Cultural Identity in Renaissance Europe. Oxford University Press. ^ "Why America Outpaces Europe (Clue: The God Factor)". The New York Times. 8 June 2003. ^ "Protestant ethic (sociology)". Encyclopædia Britannica. ^ "Max Weber: The Protestant Ethic and the Spirit of Capitalism"
Brakke, Mary Jo; Weaver, David (2009). Introduction to Christianity (4th ed.). Belmont, Calif.: Wadsworth. pp. 92–93. Cameron, Euan (2012). The European Reformation (2nd ed.). Oxford University Press. Estep, William R (1986). Renaissance & Reformation. Grand Rapids: Eerdmans. Naphy, William G. (2007). The Protestant Revolution: From Martin Luther to Martin Luther King Jr. BBC Books.